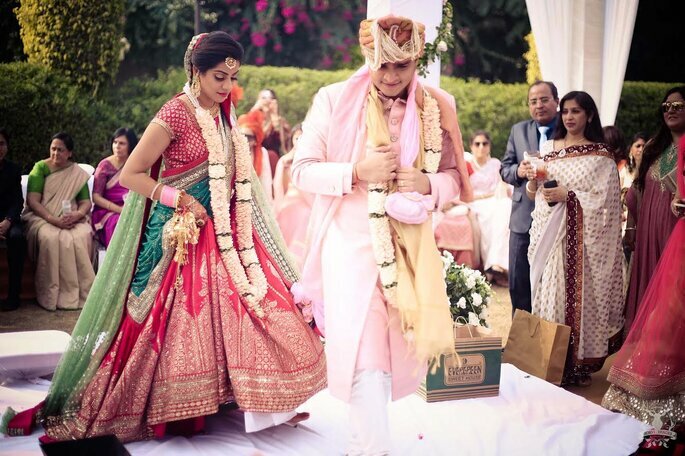 With an amazing Wedding and an amazing proposal, Madhuri and Rohan will be remembered for their Wedding throughout. Getting involved in every part of the Wedding always helps one to be sure about how the things are going- and also to check if the things are up to the mark. 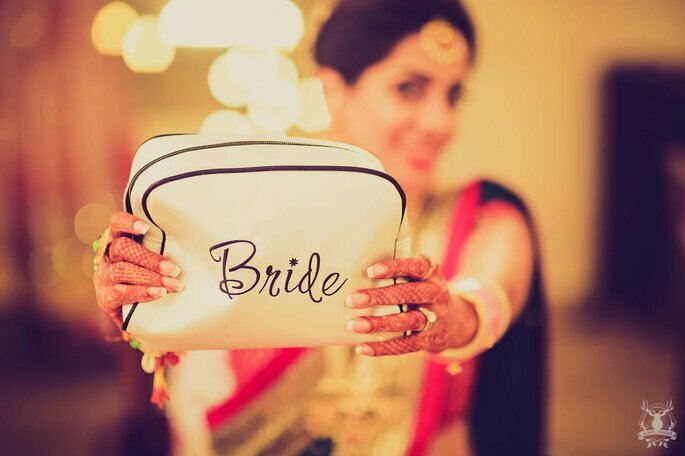 This is exactly what this Bride did. 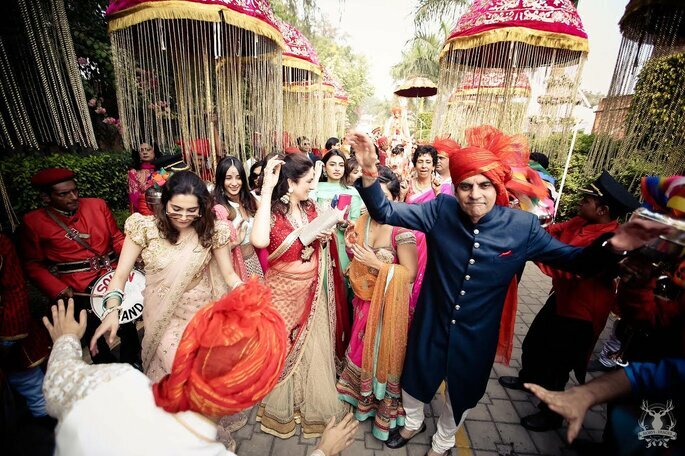 Madhuri and Rohan had the Wedding that was just too special to them, and it was how they had planned it to be. Isn’t it amazing when your special day becomes even more special than it already is? 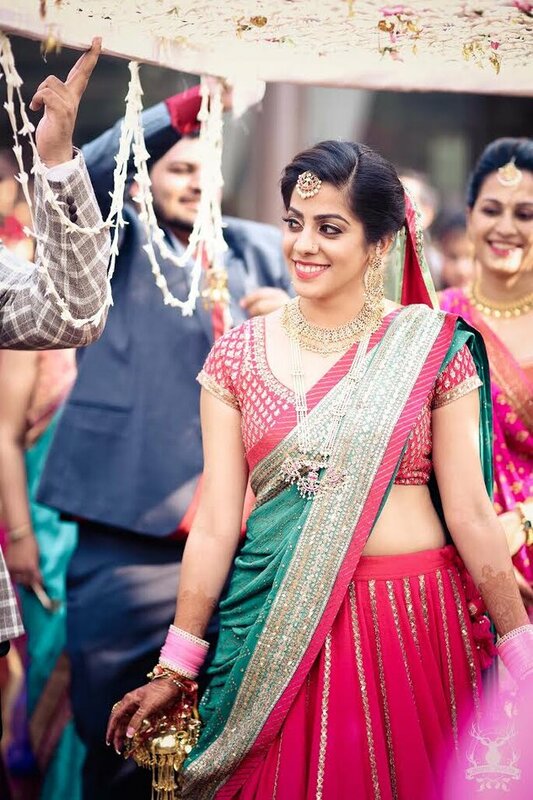 Well, this beautiful couple’s Wedding day was made even more beautiful by Morvi Images, as every moment was captured perfectly! Madhuri and Rohan had met each other back in 2011 at their work place, and they instantly got attracted with each other! They eventually started dating later that year, and they knew that they were made for each other, and that they would be there for each other- no matter what the situation is. 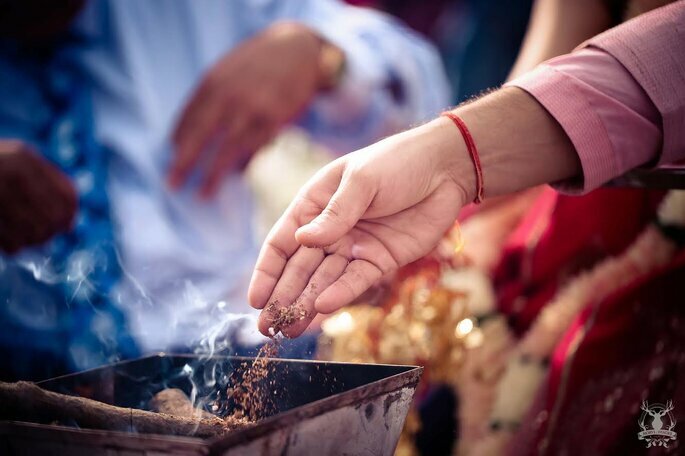 They held the relationship strong through their thick and thin, and Rohan gave her the most romantic proposal. The proposal was in Goa, amidst the sand and the water, while the sun was setting. This is was one of the most precious moments for Madhuri, and she would cherish it throughout. 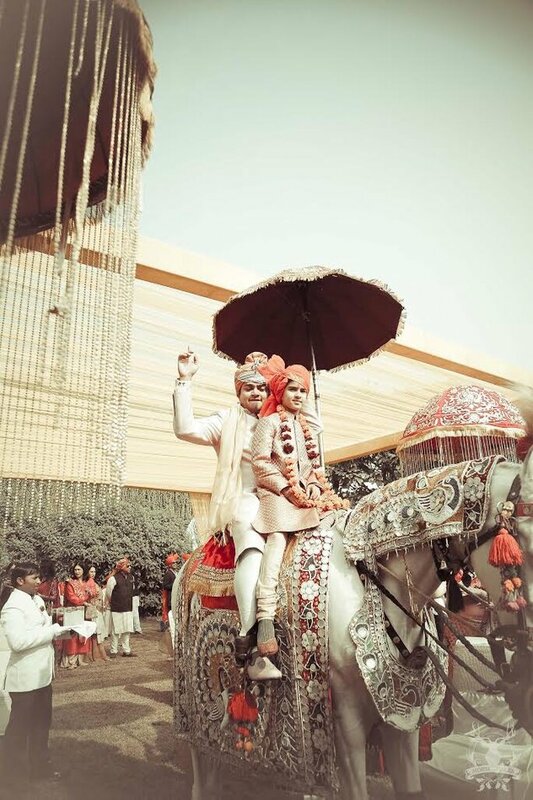 The couple was hundred percent sure that they wanted a big fat Indian Wedding, and well, that’s what they got. The couple’s parents, and the couple themselves worked really hard to make this happen and come true. 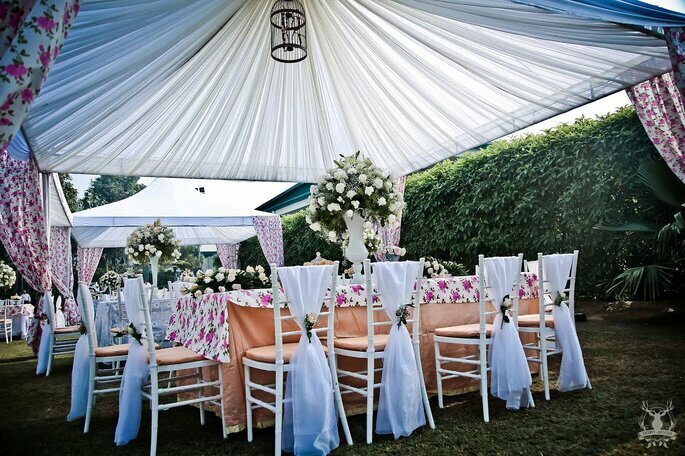 The Bride was more than involved in each and every thing regarding the event planning, as she wanted every single thing to be just perfect. The event planning firm that was hired to make this happen was Ten Events, and they did an excellent job! 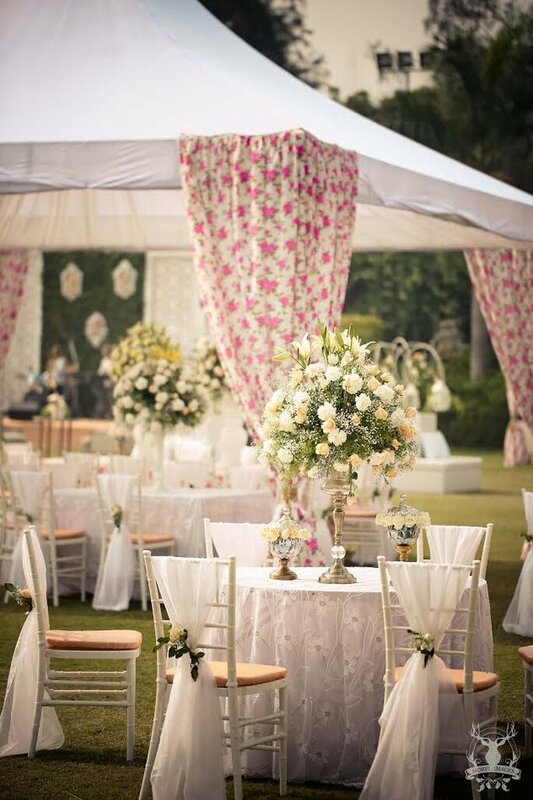 As it was a day Wedding, they used a floral theme, to make everything look alive- and everything looked just perfect and beautiful. 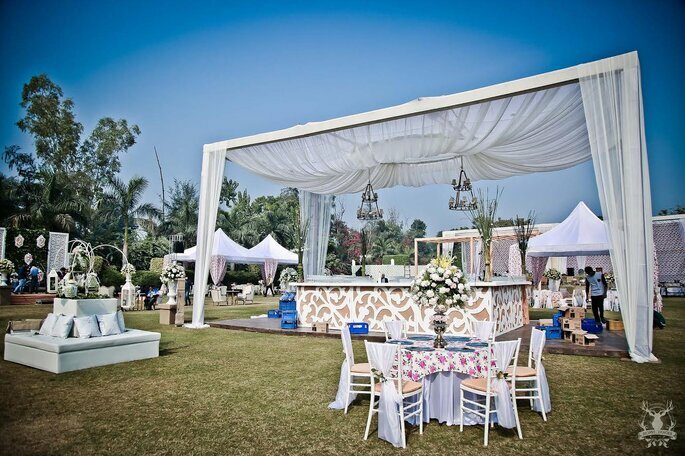 Also, the venues that were selected for the Wedding Functions were Sanskriti Greens, and Country Inn. 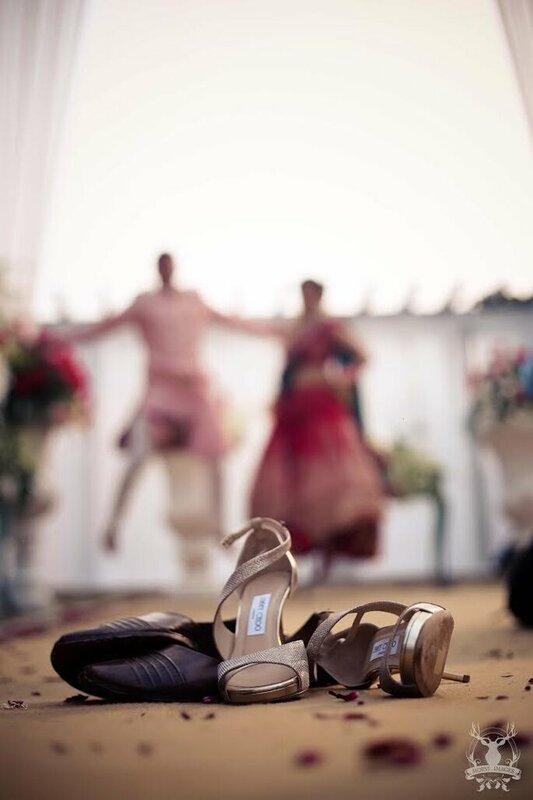 Every Indian Wedding calls for a dance party, and this obviously needs the best choreographers to make it look perfect. The choreography was done by none other than Madhuri’s Dansync, as she is a choreographer herself, and she changed her passion into career- this is something that everyone must to, in order to follow their own dreams. 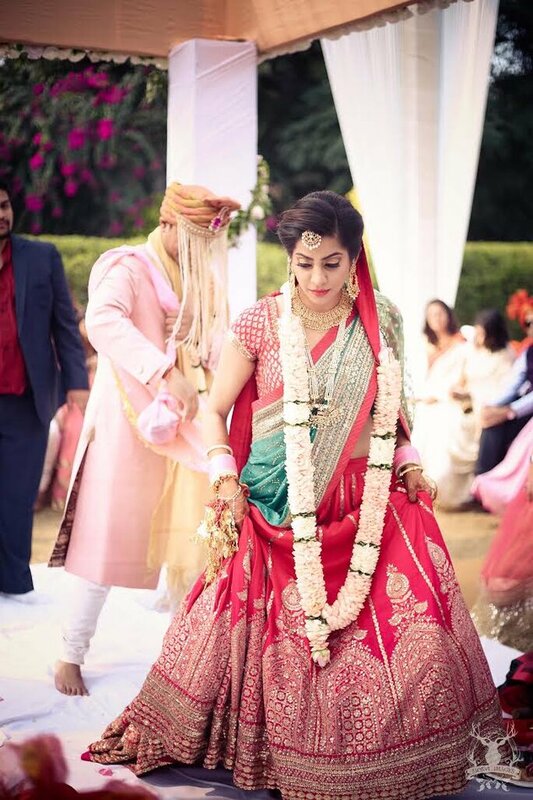 With all the other dances, they had choreographed the Bride’s dance too well- that had a special entry of the Bride, and this made it a lot more special for everyone present there! 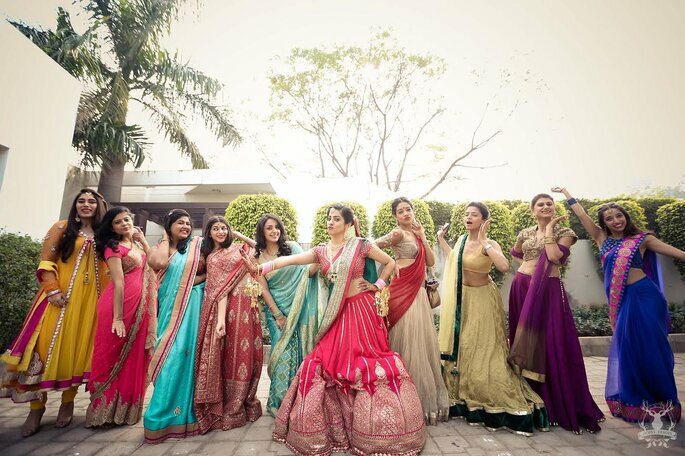 Cocktail is one of the most happening events in an Indian Wedding. It involves dancing, everyone’s participation in everything, and what not. This helps the people enjoy themselves more, and it becomes a better memory for them! For the cocktail, Madhuri’s make up was done by Pallavi Nangia, her outfit was by Shantanu and Nikhil, and her shoes and clutch were from Jimmy Choo! Rohan’s outfit was from Suitcraft. 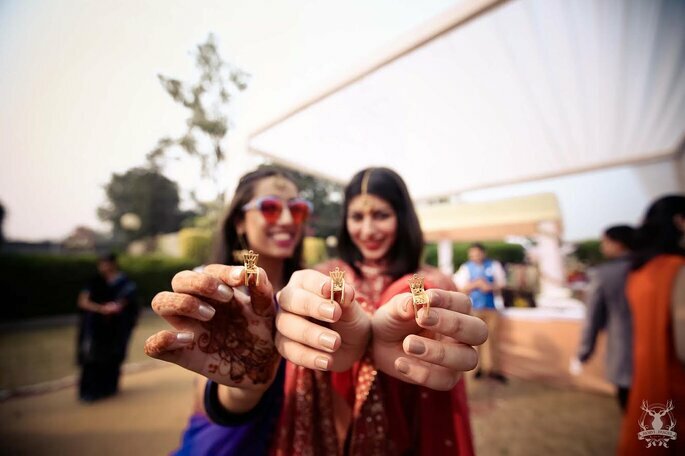 The Mehndi and Sangeet ceremonies are yet another fun filled ceremonies in an Indian Wedding, and are much awaited by the guests, as well as the Bridal couple! 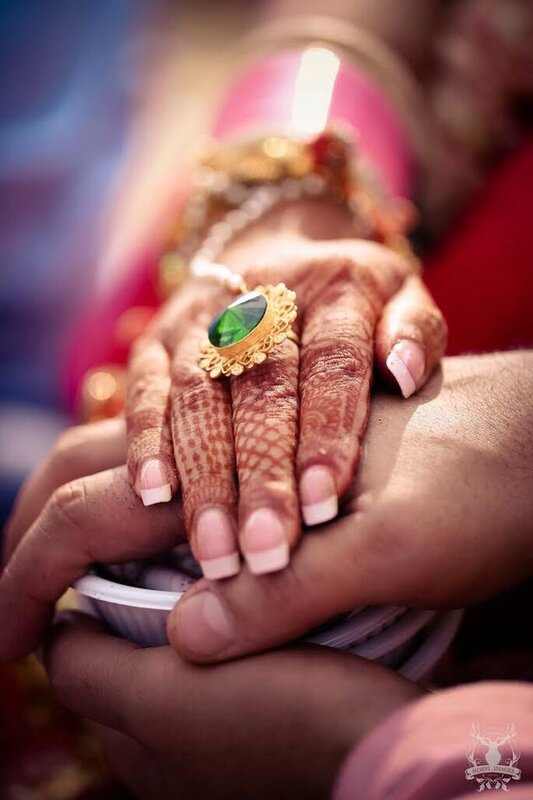 Madhuri’s mehndi was done beautifully by Kundan Mehndi, and it looked perfect after it was done! 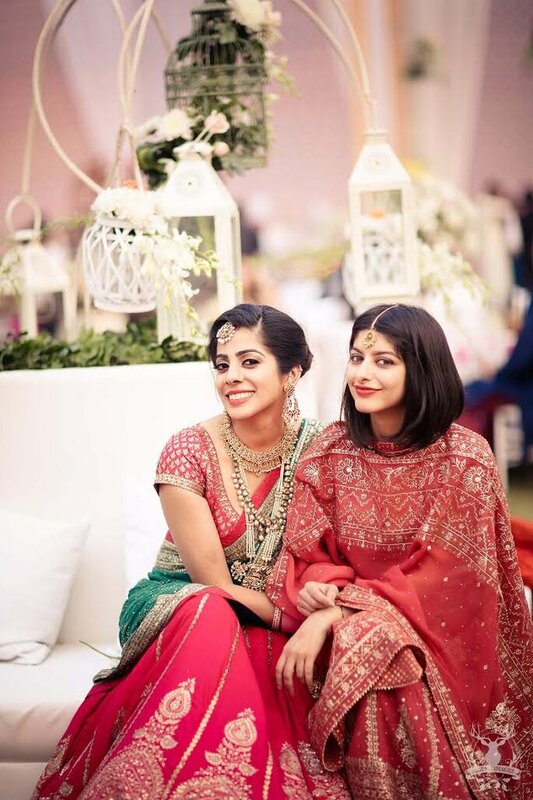 Her Mehndi outfit was selected from Madsam Tinzin, and jewellery from Suhana Jewels. 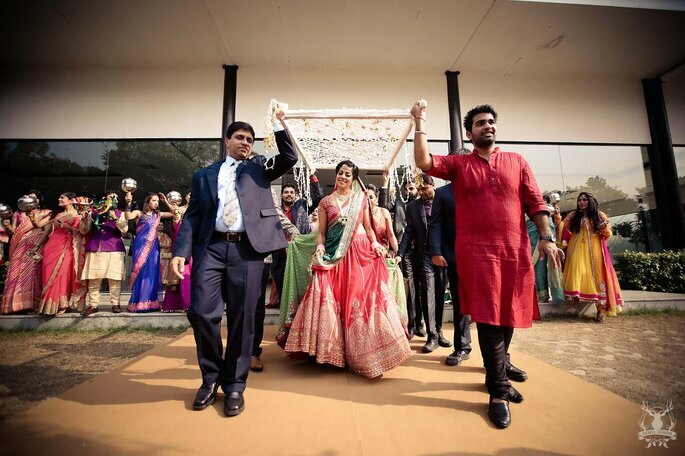 Rohan’s Mehndi outfit was selected from Suitcraft. 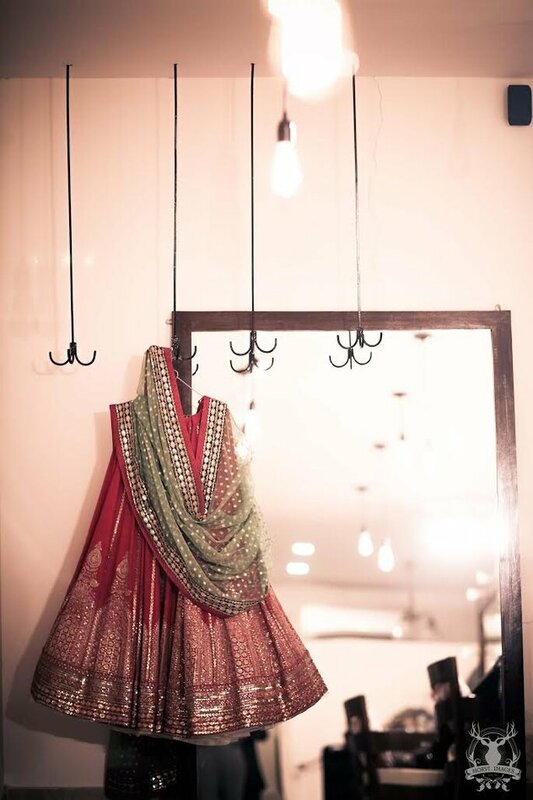 Madhuri’s Sangeet outfit was from Sabyasachi, and jewellery from Veeni Jewels. 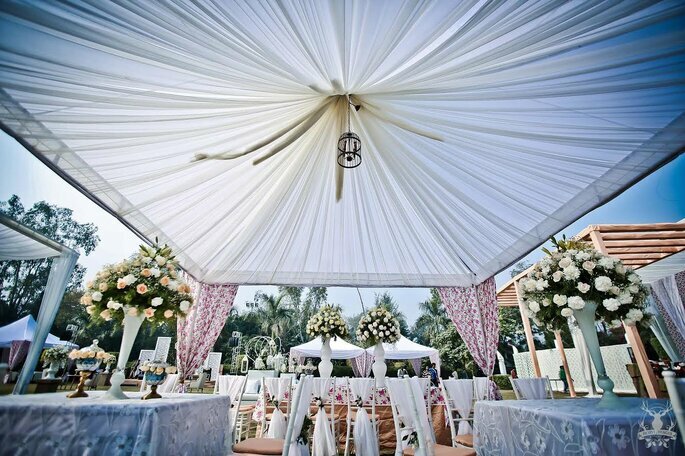 Wedding is the most important day for the Bridal couple, as this changes their lives forever. 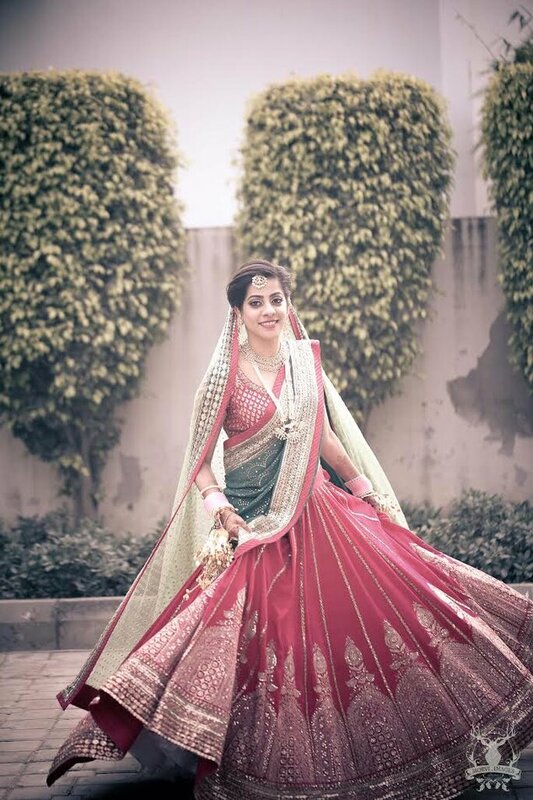 It is very important for the Bridal couple to look their best on their big day, so that they can create amazing memories. 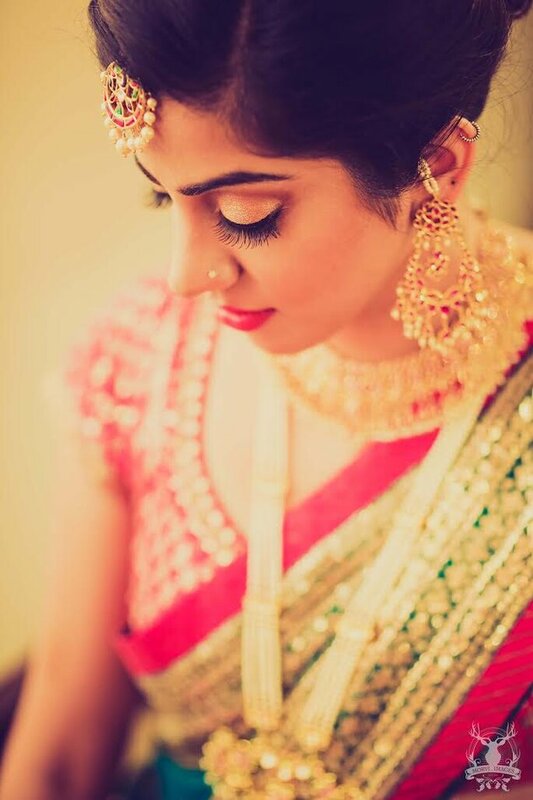 The Bride’s make up was done by Shruti Sharma, her outfit was from Sabyasachi. She looked totally stunning. 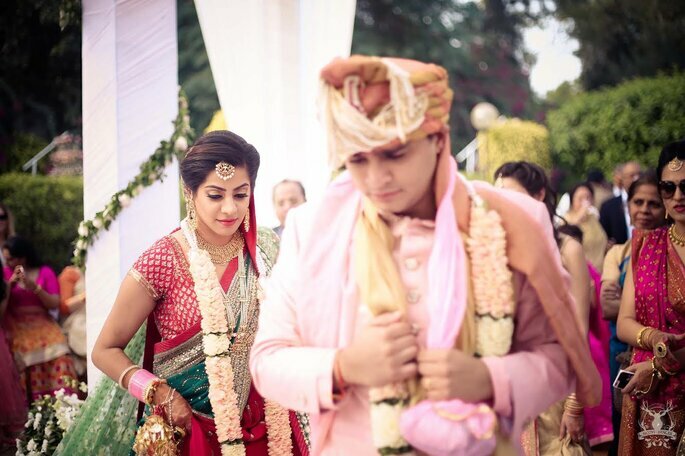 Rohan’s outfit was from Shantanu and Nikhil, and he looked really handsome. Morvi totally creates magic! 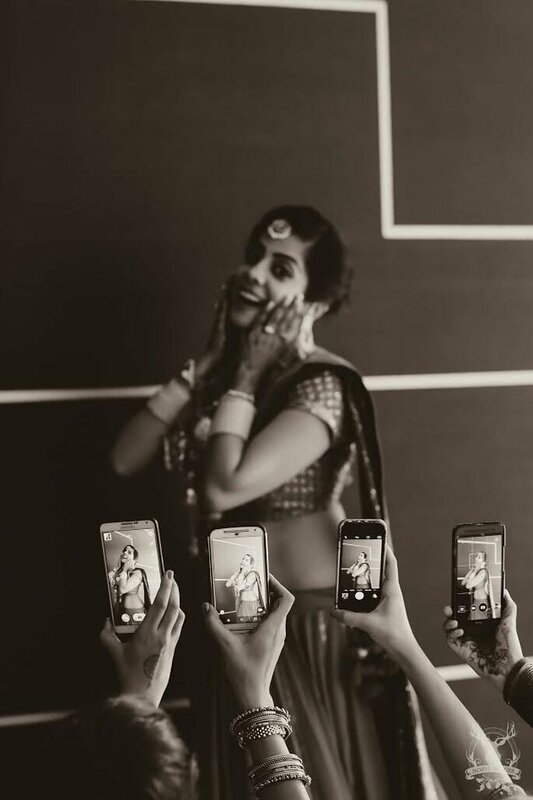 Being a wonderful human being, she takes beautiful pictures as well, which leaves a happy mark on the Bridal couple. She creates magic with her pictures, and that is something beautiful. Every picture is just perfect, and worth remembering throughout! 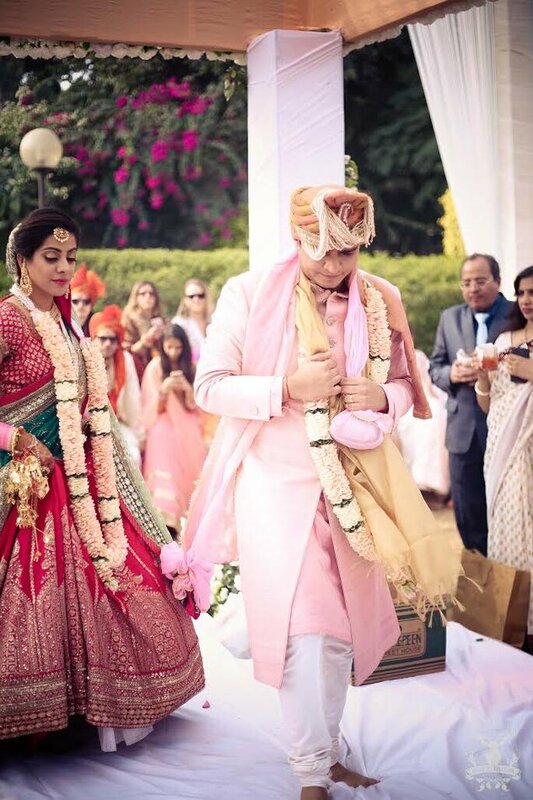 With an amazing Wedding and an amazing proposal, Madhuri and Rohan will be remembered for their Wedding throughout. 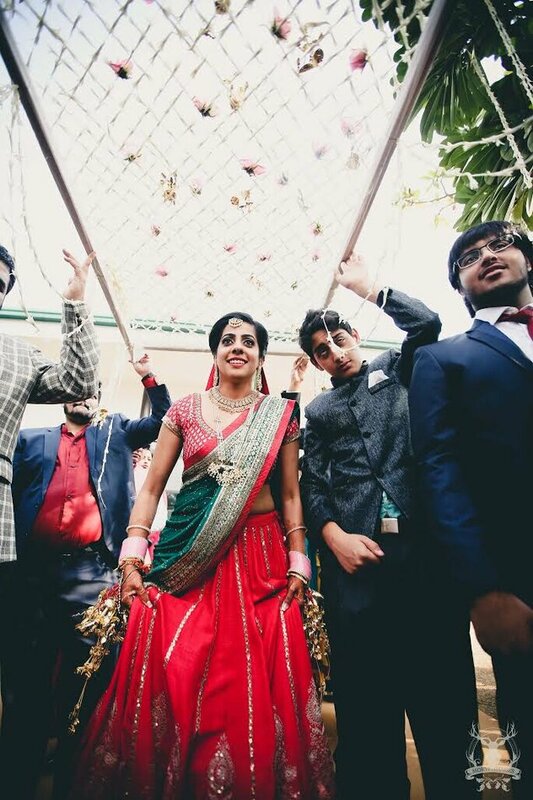 Big fat Indian Weddings are always the best, and this Wedding was just out of the world!